Decorating a bedroom, like most things in a relationship, require compromise. But even if you don’t get everything you want, design wise, that doesn’t mean you have to sacrifice style. When you’re single, you push one side of your bed against the wall and it wouldn’t matter. But when you’re part of a couple, that’s, well, pretty inconsiderate. 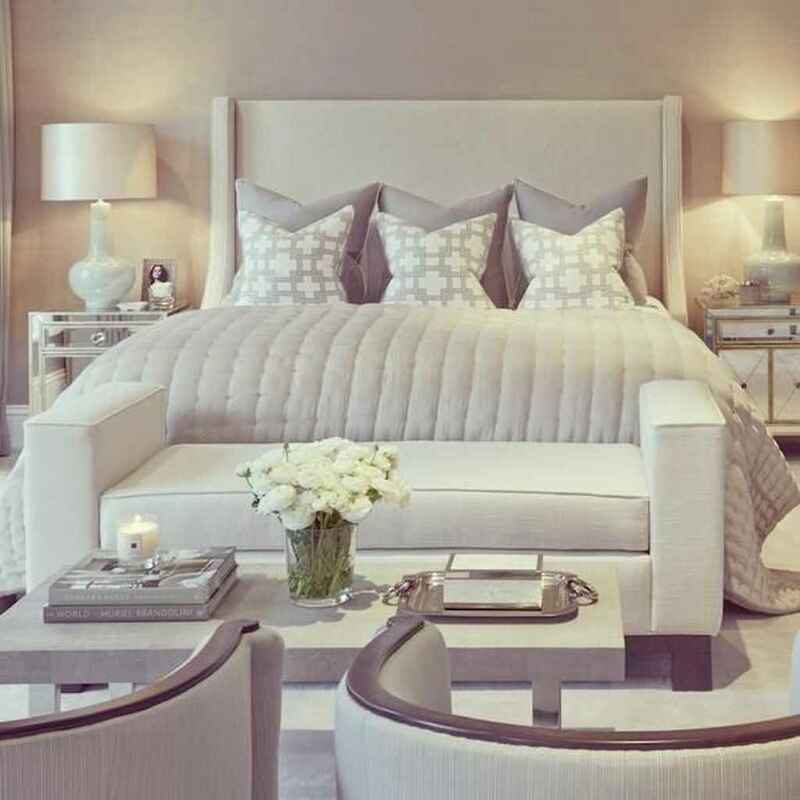 Make sure to position the bed so that you can each comfortably get in from either side, and leave enough space that you can both have a (matching) bedside table. In every relationship, one person tends to be neat and tidy, and the other tends to be…less so. Set yourself up for success (and avoid passive aggressive comments) by adding plenty of organizational accessories for each of you, like clothing hooks, valet trays, and benches with built in storage. The more spaces you each have to hang and stash your stuff, the less likely you’ll be to argue about it.